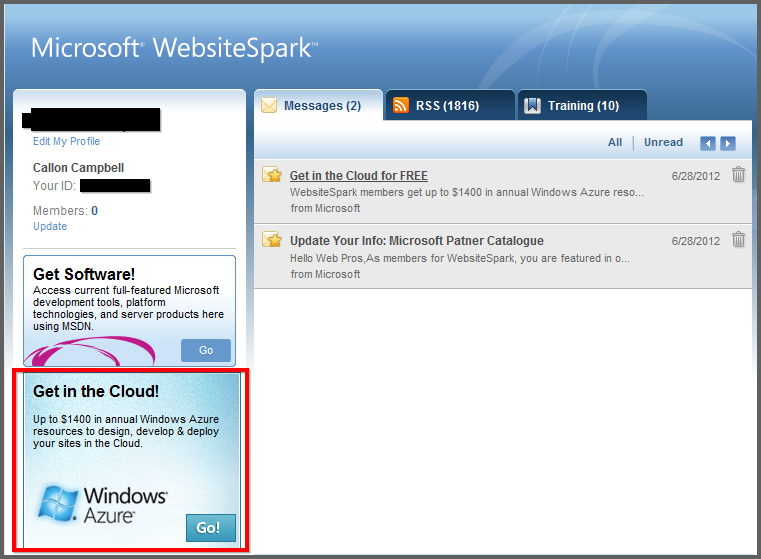 Microsoft’s WebsiteSpark program has been updated to now include Windows Azure benefits. If you’re a member of this program then you should have or will be receiving an email to update your account. You will need to login to your WebsiteSpark account and then click to update your account to include the new Windows Azure benefits. 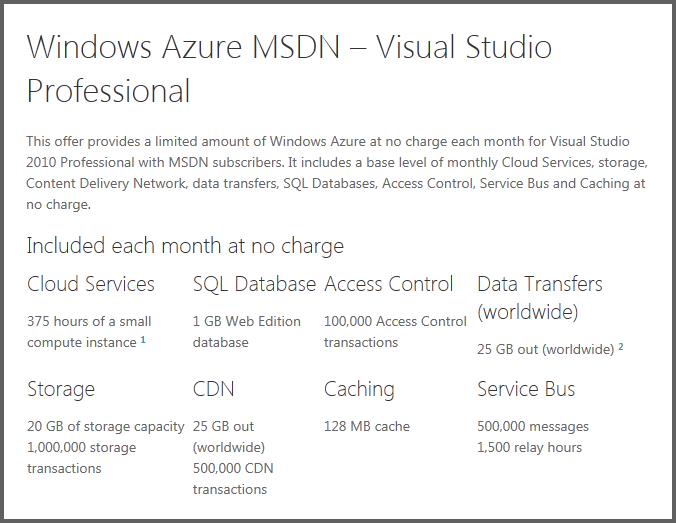 WebsiteSpark members can now get up to $1400 in annual Windows Azure resources to design, develop and deploy their site in the cloud. You will also get to keep at no charge, an Expression Web license upon completion of the 3 year program. In order to take advantage of these additional program benefits, you will need to do this prior to 12/18/2012.